Who needs to dine out! Thanks to Waitrose, two people can tuck into a 2-course meal and a bottle of wine for only £10. Choose from any main meal then add a side dish, a starter or dessert and a bottle of vino to finish it all off! 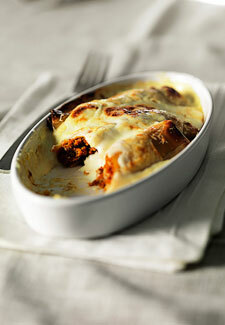 Our order’s in – the Spinach and Ricotta Cannelloni for main with Parmentier Potatoes on the side, and for dessert? It has to be the Cranberry Cheesecake. What better way to finish it all off than with a bottle of Coogee Bay red wine . Delicious! Great value for a tenner. Offer ends January 29, so don’t miss it!